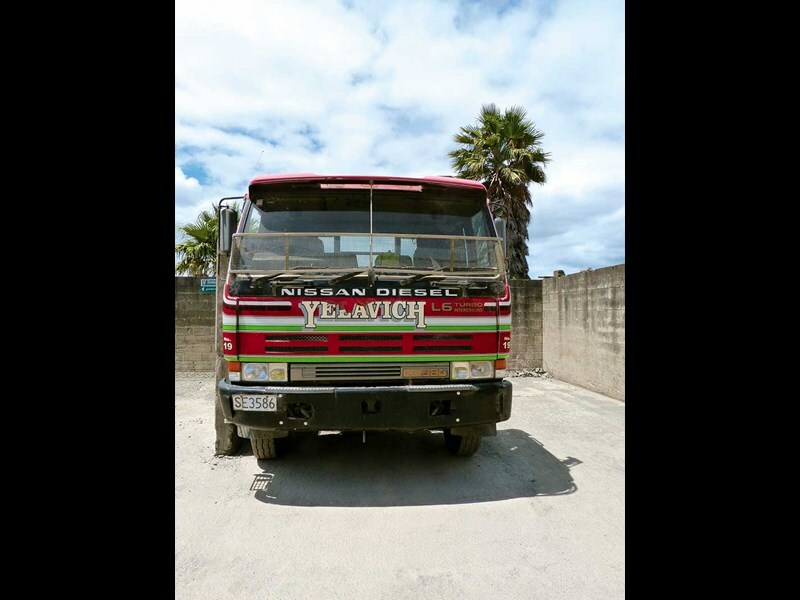 The company colours may have changed over the years and the name has a slightly different ring to it these days, but Yelavich Transport is still going strong and it’s still a family affair. I recall flicking through some old trucking magazines a while back and reading an article on Yelavich Bros 50th anniversary in 1997 and thinking what an achievement that was. The Yelavich boys were so well thought of that the local newspaper dedicated an entire section to the 50th anniversary, in which dozens of local businesses paid tribute to the Yelavich family and the much-respected business reputation they’d built since the formation the company in 1947. Brothers Lou, Wally, George and their younger brother Bob moved down to the Auckland region from the Far North when their father Tony sold the family farm in Waiharara, about 30km north of Kaitaia. But instead of continuing in the dairy industry when they settled in Riverhead, they made the decision to purchase a small trucking firm, the Riverhead Carrying Company. As part of the purchase of the company’s assets, they became the proud owners of five trucks which consisted of two tippers and three flat-deck trucks. There were two 1937 Fargos, one 1941 Chev and two 1942 Dodges, all of which were petrol-powered, which was quite the norm for the era. Bob Yelavich, now 83 and still works in the office on a daily basis, told DOW that although there were two tippers in the original fleet, the majority of their work was carting cream from local farms to the nearby Waimauku Dairy Factory. However, after the factory closed in 1951, the cream had to be carted a much greater distance to Mt Eden, which was a very long drive in 1951 before there was a motorway connection to the city. 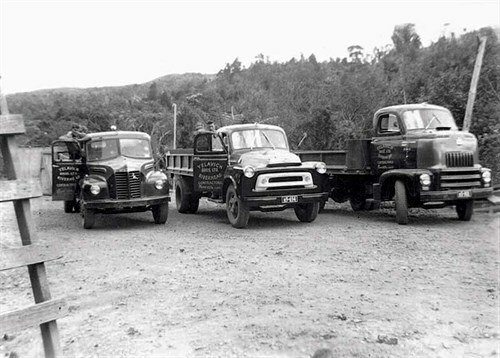 There was change of direction for Yelavich Brothers Ltd in 1954 when it secured a contract to operate a quarry for the Waitemata County Council, on the road to Bethells Beach, a situation that remained in place for almost 50 years when the quarrying operation was sold to another enterprise. The company’s workload increased steadily from the 1960s to the late-’90s and there was a need to continually upgrade the fleet to trucks with larger carrying capacities, in which the International brand played a significant part. 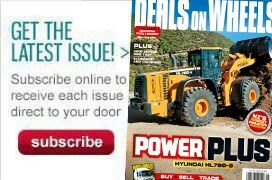 The first diesel truck purchased by the company was also its first foray into the semi-trailer arena – a 1969 International AB182 normal-control rig with a 6-354 Perkins engine coupled to an Eaton two-speed diff – a far cry from some of its previous International ARC160 semi-cab-over trucks. Yelavich Bros purchased its first International ARC 160 new in 1956. These were quite an unusual looking beast, and as Bob recalls, were prone to breaking stub axles, resulting in the front wheel falling off. One of these trucks broke no less than five times but fortunately nobody was ever injured. As the 1970s came along, the company was getting into far larger truck and trailer units and the pride of the fleet in 1975 was an Inter 5000 Series Paystar which was powered by one of those magnificent-sounding Detroit 8V71 engines. In the ’80s and ’90s, the brothers started introducing Japanese trucks into its fleet. They still have a 1996 Nissan six-wheeler tractor unit, number 19 that gets trotted out on occasions but is now looking for someone to give it a new home. Now, in 2016, the fleet is comprised mainly of Isuzus with an International, a Mack and a Volvo thrown in for good measure. Aside from a love of trucks and machinery (there was a time about 20 years ago when graders, bulldozers, crushers and the like outnumbered the Yelavich truck and trailer fleet) the family appears to be besotted with the game of rugby. Back in the early days, Bob and his older brothers formed a goodly portion of the Foresters Arms rugby team, and his love of the sport has been passed down to his son Milan who now heads Yelavich Transport. A large part of the Yelavich philosophy on life revolves around being involved in the community, and Milan plays his part by putting his efforts outside of work, into coaching rugby. Among these sides is the local provincial team, North Harbour and currently the Croatian national rugby team. He says that coaching the team naturally involves being away in Croatia, occasionally for months at a time, and he freely admits that the pressures of running the business will eventually have to take precedence over his life as a rugby coach. He goes on to say that although Bob is still the first person in the office in the wee hours of the morning and often the last to leave, he realises that that’s a situation that won’t go on indefinitely. Milan’s wife Angela carries out the role of office manager, continuing the long-held tradition of it being a family affair. Milan told DOW that as a lad back in the 1970s, he was just itching to slip in behind the wheel of one of the company trucks, an ambition that was realised in when he gained his HT licence in 1983. 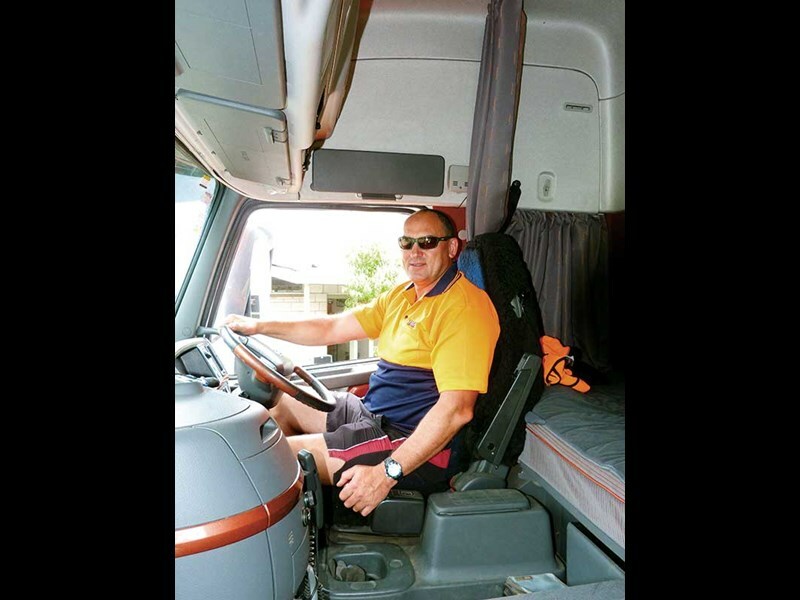 Although he drove trucks and operated machinery in the family business for a number of years, it wasn’t until he returned from Ireland, where he was playing and coaching rugby between 1998 and 2001, that he had any ambitions of operating his own truck which was the beginning of Yelavich Transport Ltd. Whereas Yelavich Bros was traditionally a road metal supply operation, Milan could see opportunities for the firm to branch out into cartage of general freight and produce. 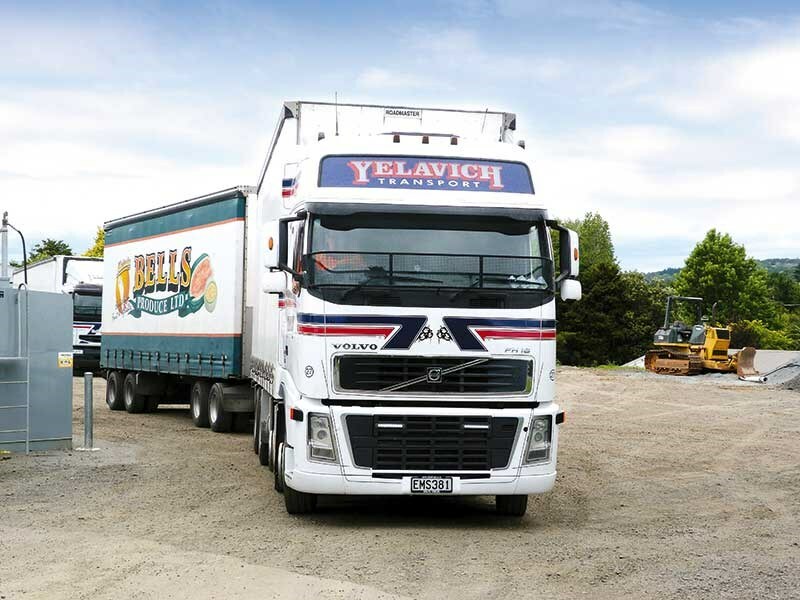 That vision has led Yelavich Transport to the point that it currently has a 50/50 split in its fleet between curtain-sider units and tipper-bodied rigs. Bob and his older brother George are the only surviving members of the original Yelavich Bros business partnership, with Bob being the only brother still in the business, so it was in 2006 that he and son Milan formed a new partnership, growing Yelavich Transport to what it is today. 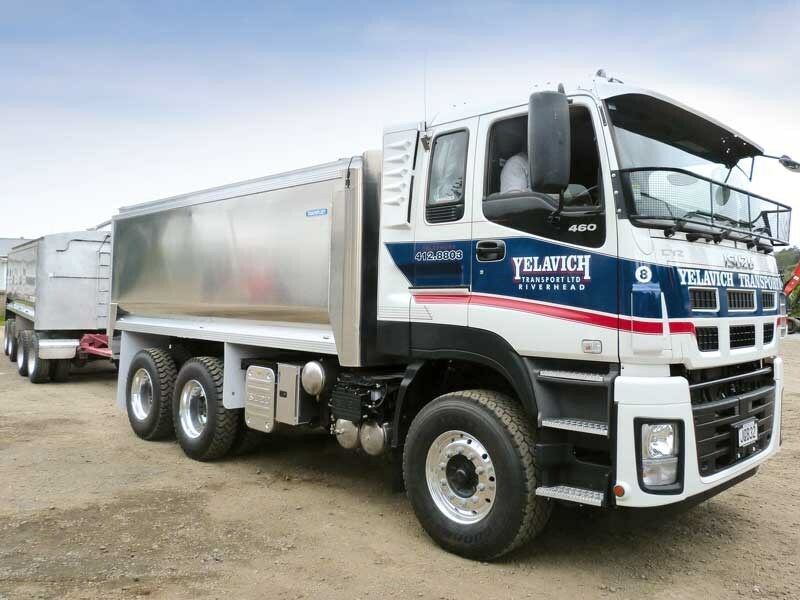 Monday, 15 February, 2016 marked an auspicious occasion for Yelavich Transport when it took delivery of a brand-spanking new 460HP Isuzu six-wheeler it had bought from Robertson Isuzu in Palmerston North. 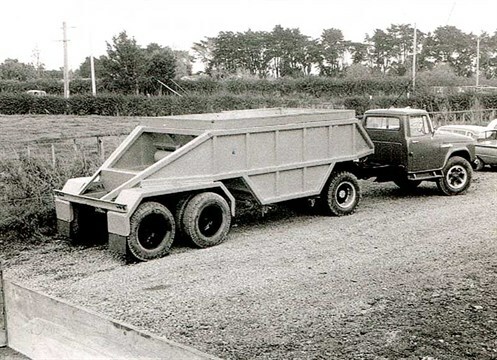 The truck was going to be put to work the very next day pulling a four-axle trailer with a tipper body and Milan was booked to do the driving. Bob said he wanted to put it on its first job into Waikumete that only required a truck minus the trailer but Milan had other ideas of giving it a bloody good workout fully loaded – four-axle trailer and all. I wasn’t able to stick around long enough to find out whether it was Bob or Milan who won the day.